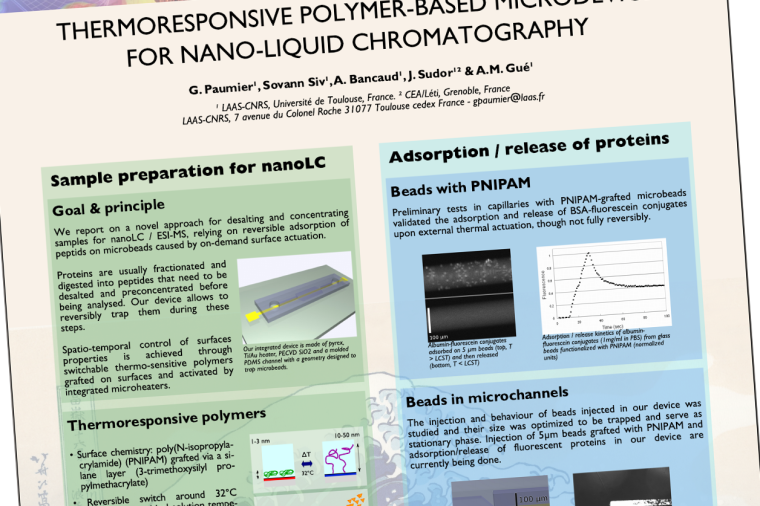 In January I attended the Biodevices conference in Funchal, Madeira, where I presented a poster entitled Thermoresponsive polymer-based microdevice for nano-liquid chromatography. "Biodevices" is short for "International conference on biomedical electronics and devices". It's a relatively young conference, but wide-encompassing, which made it quite interesting. 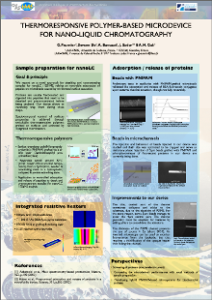 For this poster, I reused the design I made with Scribus for MicroTAS 2007 and I came up with a nice poster that I am now sharing here. Some PDF viewers may have some trouble displaying this file, because it uses transparency and layers. I recommend using the latest version of Adobe Reader.